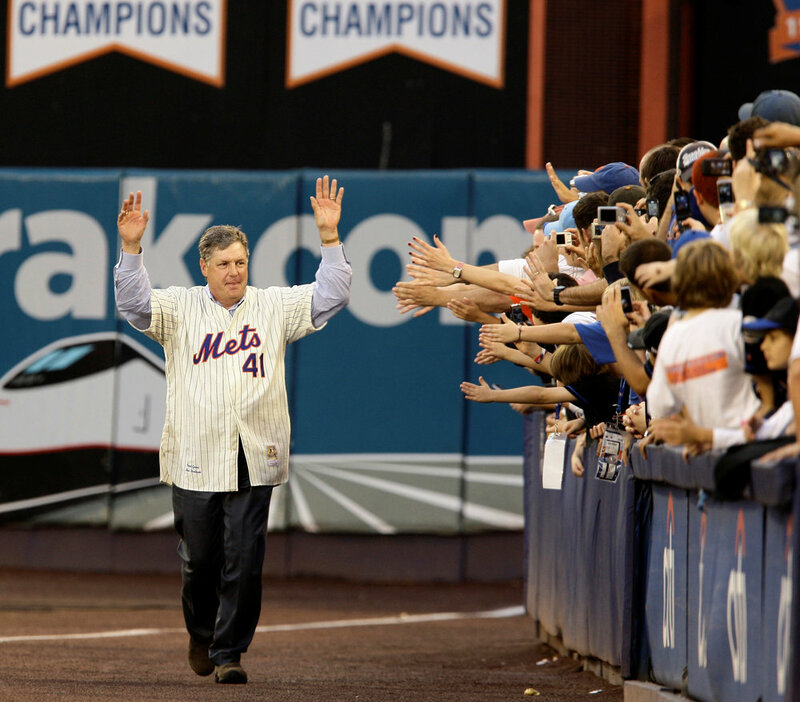 The city will rename a strip of 126th Street “Seaver Way” and Citi Field will be located at 41 Seaver Way. Seaver, nicknamed “Tom Terrific” or simply the “Franchise,” wore number 41 throughout his career with the Mets, which began in 1967. The club retired his number in 1988. Seaver, a first-ballot Hall of Famer, won 311 games between 1967 and 1986. He also pitched for the Cincinnati Reds — after the shocking “Midnight Massacre” trade away from the Mets in 1977 — the Chicago White Sox and the Boston Red Sox. After his retirement, Seaver served as an analyst and announcer for the Mets as well as national broadcasts. Seaver was a 12-time All-Star and won three Cy Young awards as the best pitcher in the National League. He led the league in strikeouts five times and tossed a no-hitter for the Reds in 1978. Before New York Yankees closer Mariano Rivera was unanimously voted into the Baseball Hall of Fame in January, Seaver had received the highest percentage of the vote in Hall of Fame history — 98.8 percent. Earlier this month, Seaver’s family disclosed that he had been diagnosed with dementia and that the California native would retire from public life. The Mets start the season Thursday against the Nationals in Washington D.C. The home opener is April 4 and the club will honor the 50th Anniversary of the 1969 Miracle Mets all season long.